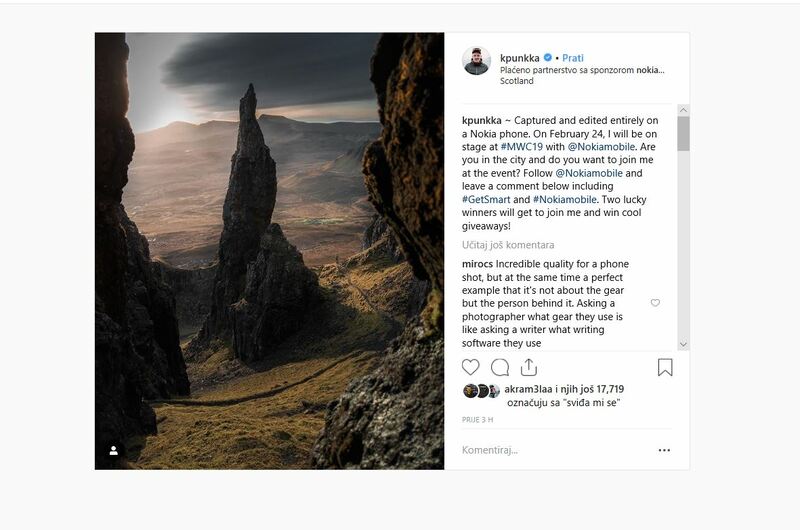 HMD Global’s Chief Product Officer Juho Sarvikas announced on Twitter that photographer Konsta Punkka will be on stage at Nokia Mobile’s #GetSmart event in Barcelona. The event is on Sunday, and HMD’s CPO says in his tweet that they “have something extraordinary to share” with all of us. Mr. Punkka posted on its Instagram profile @kpunkka a photo made with a Nokia device and asked Instagram followers to leave a comment for a chance to join him in Barcelona and win some goodies. The shared photo looks really impressive, with high dynamic range and good amount of details even in shadows. The photo was taken and edited on a Nokia device, most likely the Nokia 9 PureView. I also want to say that really good photographers can take great photos with subpar equipment. We will see how good the 9 really is on Sunday, after first photo samples and comparison shots hit the web. Nokia 8.1 doesn’t have Corning Gorilla protective glass? Why keep it quiet?